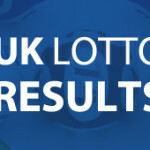 None of the players for the June 6 UK Lotto draw were lucky to match the winning numbers from the draw. 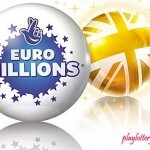 Consequently, the £2.1 million jackpot prize will rollover to the UK Lotto weekend draw. The winning numbers from the draw were 9, 17,20,27,37 and 41 while the bonus ball number was 3. The closest the lottery players got to the jackpot prize was by 14 tickets matching five of the main number plus the ball number. Each of the 14 ticket will scoop the second tier prize of £47,991. 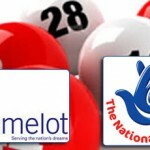 In addition to the 14 tickets,223 UK Lotto tickets from the draw matched five of the main winning numbers and would each walk home with the third consolation prize of £1,883. In summary, a total of 276,939 tickets won prizes form the midweek draw. 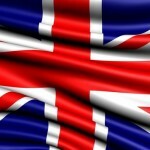 The winning numbers combination featured two of the numbers least drawn in the past UK draw. The number 20 made its 169th appearance in the draw while 41 made its 185th appearance in the UK Lotto winning number combination. Cold lottery number have the tendency of appearing occasionally in the UK Lotto winning numbers and hence player can take advantage of this by having such numbers in their lottery tickets. Still on the UK Lottery, the Irish Lotto draw also ended up in a rollover. The winning numbers from the draw were 12, 13, 18, 24, 39 and 44 with the bonus ball number being 29. Only one ticket scooped the second tier prize of €25,000. 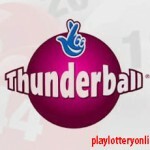 All eyes are on the Friday’s EuroMillions 156,000,000 and the Saturday’s Powerball lottery $205,000,000 draw. You can beat the lottery queues by purchasing your lottery tickets for the two draws online.